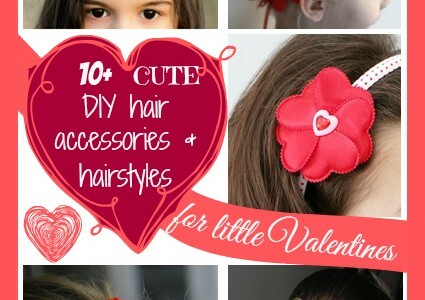 If you want to make Valentine’s Day very special for your little ones, here are a couple of ideas for very easy, DIY hair accessories and hairstyles. I have already done a few with my daughter and she loved it! 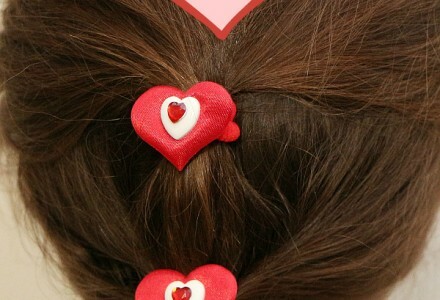 We’ve recently made a cute Red heart flower headband and a very easy felt heart headband, but my daughter said she had no hair ties that she could wear. So we have made them! 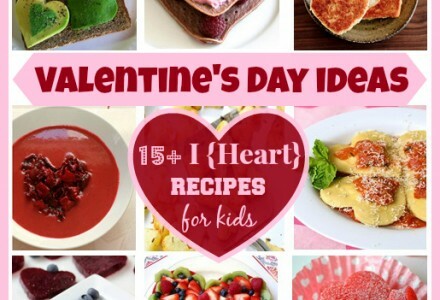 If you are looking for delicious and healthy recipes to make with your kids for Valentine’s Day, I have prepared a fabulous collection for you! 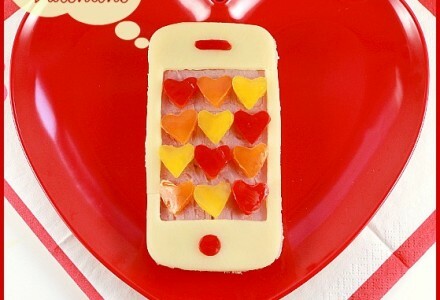 You will find Valentine’s Day ideas for breakfast, lunch, dinner and dessert! 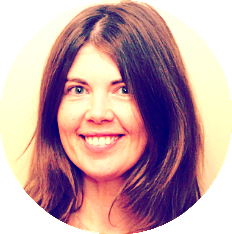 Hope you will find something great for you that your kids will love. 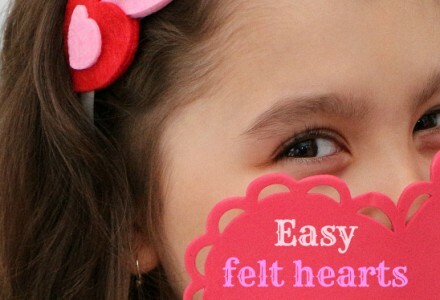 We’ve recently made a cute Red heart flower headband and my daughter loved it so much that she wanted to make another customized headband. When I stumbled upon pink and red felt hearts stickers, I knew there were going to be perfect for that. No wonder my daughter wants to make ‘hearty’ crafts nowadays. 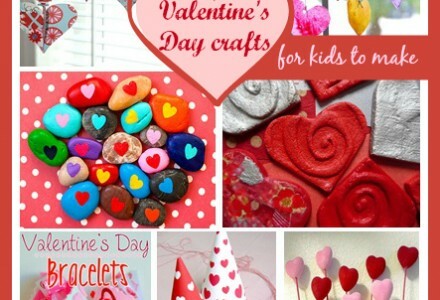 I was looking for some inspiring ideas to make creative Valentine projects with her and I have found tons of them!